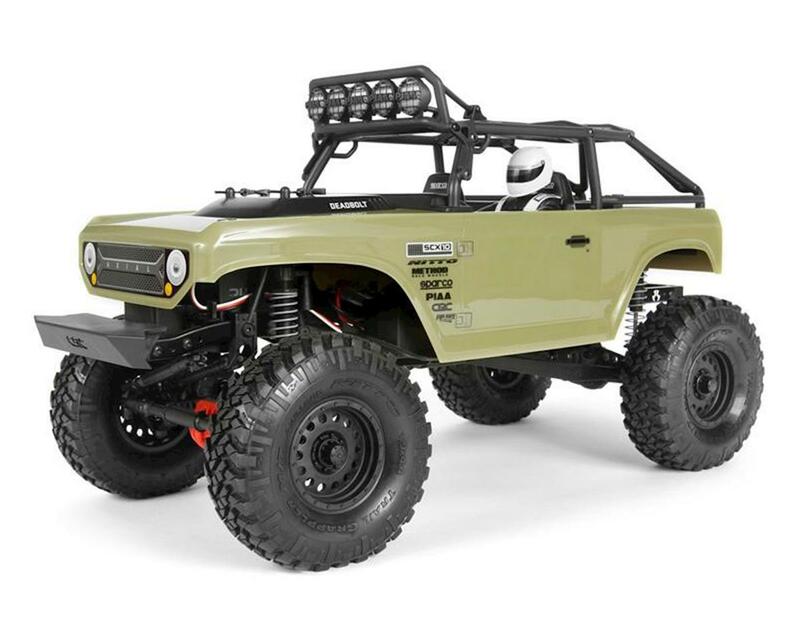 The Axial SCX10 II Deadbolt RTR 4WD Rock Crawler combines the handling prowess of the SCX10 II with the rugged good looks of the classic Deadbolt body to create an exceptionally capable rig. The Deadbolt body is covered in an olive drab finish — with its narrow stance, bulging hood, driver figure, and cage with light bar. The detail continues with a licensed CRC front bumper and Method Hole wheels wrapped in Nitto Trail Grappler tires. 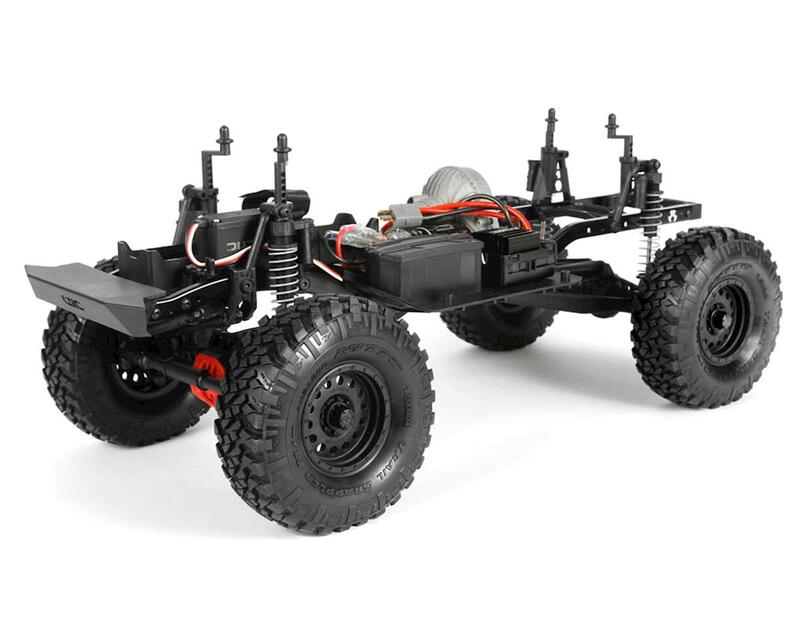 At the heart of it all is Axial’s famously unstoppable SCX10 II chassis, fully equipped for extreme trailing. I Love my Deadbolt! 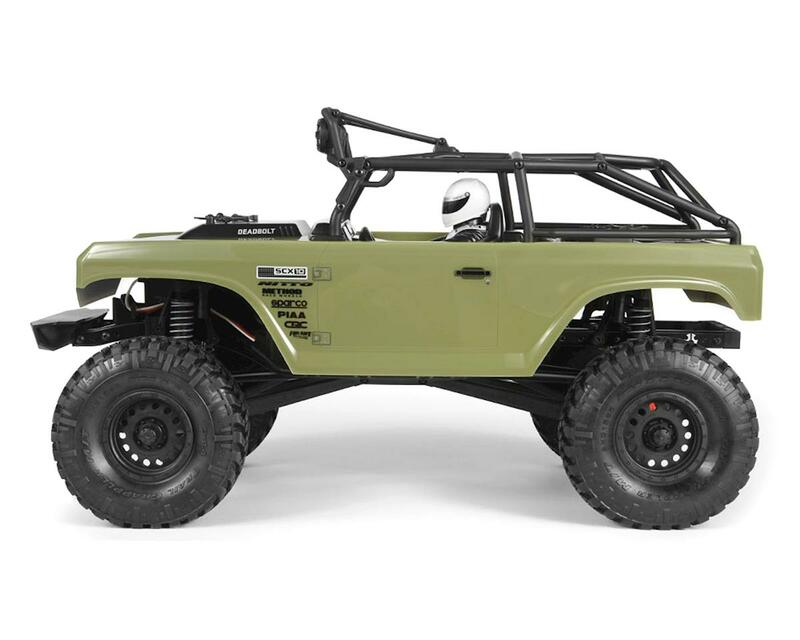 The SCX line is a really good base crawler with plenty of room for upgrades(not necessarily needed). Climb up and over anything! The Axial SCX10 II Deadbolt is an extremely capable Crawler right out of the box and will pull off lines that others will not think about trying. This truck sticks to simplicity and it works well. You will need to do some simple upgrades such as a servo, shocks, and softer tires. Waterproofing the receiver box is also a good idea. With simple upgrades this truck is ready to conquer any obstacles in it's path. 5 stars because this is such a great truck and very easy to upgrade.